Legacy is book four of the Project Renova Series and is a fabulous way to wrap up this fast paced post-apocalyptic series. Book one (Tipping Point) blew me away, and I couldn’t wait to get my hands on the next book and then the next. I got quite emotional when I reached The End! Lottie was my favourite character from the previous books, so it was lovely to see her represented in Legacy both in her own chapter and that of her ancestors (no spoilers!). Dex was the bad guy we loved to hate, and so I especially loved reading about his son’s part in the new world. Thoroughly enjoyable read and a series I would highly recommend to any post-apocalyptic fan. A hundred years after the world was devastated by the bat fever virus, the UK is a country of agricultural communities where motherhood is seen as the ideal state for a woman, new beliefs have taken over from old religions, and the city of Blackthorn casts a threatening shadow over the north of England. Legacy travels backwards in time to link up with the characters from Tipping Point, Lindisfarne and UK2. Seventeen-year-old Bree feels stifled by the restrictions of her village community, but finds a kindred spirit in Silas, a lone traveller searching for his roots. She, too, is looking for answers: the truth behind the mysterious death, forty years earlier, of her grandmother. In 2050, Phoenix Northam’s one wish is to follow in the footsteps of his father, a great leader respected by all who knew him…or so his mother tells him. Book 4 of the Project Renova series rebuilds a broken country with no central government or law, where life is dangerous and people can simply disappear…but the post-Fall world is also one of possibility, of freedom and hope for the future. Terry Tyler is the author of eighteen books available from Amazon, the latest being ‘Legacy’, the final book in her post apocalyptic series. She is currently at work on a new dystopian series, set the UK, approximately twelve years in the future. 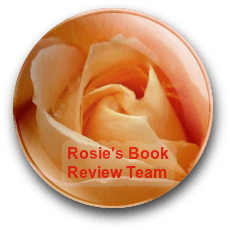 Proud to be independently published, Terry is an avid reader and book reviewer, and a member of Rosie Amber’s Book Review Team. Terry is a Walking Dead addict, and has a great interest in history (particularly 14th-17th century), and sociological/cultural/anthropological stuff, generally. She loves South Park, Netflix, autumn and winter, and going for long walks in quiet places where there are lots of trees. She lives in the north east of England with her husband. Thank you so, so much – and YES re Wolf! He is one of the reasons I want to write a book about the shacker uprising in Blackthorn!! Totally Ivarr, and also the guy in GoT, can’t think of his name now, who kept Theon prisoner and turned him into Reek! Randall or Randalf something? Think he was a Snow because illegitimate son of the House that took over Winterfell. Hope you liked the hermit… and did you guess who it was??! I had great fun doing the minor bloodlines too – like the fact that Travis and Heath’s ex, Aria, was the mother of the Byrons. I just slipped that one in – an ‘aha’ moment when I was writing! Terry Tyler: You can be very proud of the four book Project Renova series. “Couldn’t put it down” is a much used phrase but one that definitely can be applied to these books. I have just finished reading Legacy, the final book and a review will follow but I have to get my head around how this storyline was wound up. I’m still living in the story itself. There can be no better accolade than that. Thank you Terry Tyler for such an exciting series. …especially Wolfie, Shelley. He does have his ways…. Oh yes, Ramsay Bolton – duuuuuhhhh!!! Great review, Shelley – just started this one today!